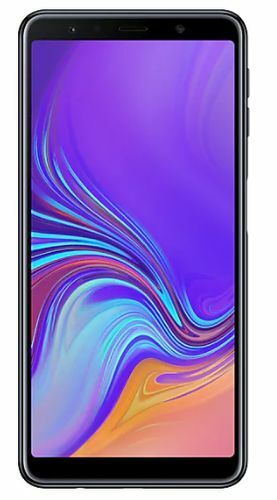 Samsung released its Samsung Galaxy A7 (2018) on September, 2018. This mobile comes at a price of Rs. 17990. The processor in Samsung Galaxy A7 (2018) is Exynos 7885 and this model has 4 GB RAM with 64 GB Internal Memory. 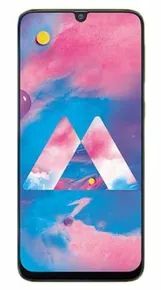 Samsung Galaxy A7 (2018) comes with 4G & 3G connectivity. This mobile runs on Android v8.0. It has 24 MP + 8 MP + 5 MP Triple Rear Camera with LED flash and 24 MP Front Camera without flash. ✓ You can buy this product at Tata Cliq for Rs. 17990. 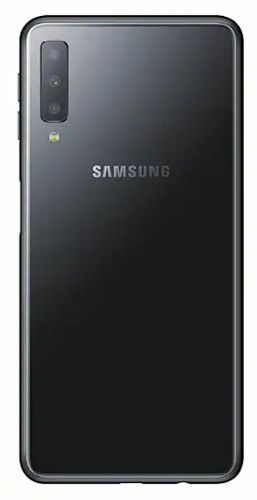 Samsung released its Samsung Galaxy A7 (2018) on September, 2018. Samsung Galaxy A7 (2018) is currently available in stores like Tata Cliq, Amazon, Paytm Mall, Flipkart, Samsung and ShopClues to purchase, with best price being Rs.17990. You can visit the stores below to purchase the phone. This mobile comes with Android v8.0. This mobile has 3300 mAh Non-Removable Li-ion Battery. This model has Dual Sim (Nano+Nano SIM) and there are dedicated slots for each SIM. This mobile weighs 168 g and measures 159.8 x 76.8 x 7.5 mm (height x width x thickness). It comes with Color Super AMOLED screen (16M colors) and display resolution of 2220 x 1080 pixels. The phone has a screen size of 6 in with capacitive touch screen. It has display density of ~411 PPI (Pixels per inch). This Samsung phone also has Corning Gorilla Glass. It has 24 MP + 8 MP + 5 MP Triple Rear Camera with LED Flash and AutoFocus. There is 24 MP Front Camera but without Flash. The camera also supports Face detection, Geo tagging, Panorama, Touch to focus.